Donna the astronomer, who offers stargazing tours at Milroy Observatory in Coonabarabran, aims a telescope at the moon so that we can all get a close-up look at its crater-filled surface. Myself, my sister and a group of other keen stargazers from across the world gasp at how clearly the galaxy is unveiled, and then settle into our seats to learn about the universe sprawled around us. Donna explains that under optimal conditions such as this, in Australia's only Dark Sky Park located in the Warrumbungle National Park, we're looking at around 2,500 stars, at most. Not millions, as people often presume. That’s about 1/100,000,000th of the total stars in our own galaxy. My mind is already doing cartwheels, and then we move on to chatting about the Milky Way, which has a diameter of 100,000 light years. When you take into account that a light year is the distance light travels in a year, and that light can travel around the Earth seven times in a second, the distance of a light year becomes mind-bogglingly enormous. The most modern, extremely fast spacecraft would take about 18,000 years to travel one light year. And when it comes to the Milky Way, we’re talking about 100,000 of them. After a few hours stargazing with Donna, my sister and I head home for a peaceful night's sleep in our beautiful lodgings, Mirrabrook Cottage, which is just outside Coonabarabran in the foothills of the Warrumbungles. We're up early to admire the views as the sun rises over the mountains that surround us on all sides. With the recent well-received rains, the paddocks and hills are a deep rich green, and the horses grazing in the fields lend the scene a storybook prettiness. The two-bedroomed self-contained cottage has a lovely wooden deck from which to drink in the view, and owners Kelly and Wes have ensured that luxurious touches such as Sheridan towels, a bottle of bubbles upon arrival, and eco-friendly toiletries make the experience even more special and relaxing. Later that morning we drive an hour down the road to visit Emu Logic Farm in Tooraweenah, which is home to around 1000 emus. There we greet baby emus still kitted out in stripy fluff, young emus that are as gangly as they are cute, and paddocks of noisy adult emus emitting drum-like noises. No matter what age an emu is, they are undoubtedly one of the most ungainly looking creatures around! We feed them while learning about the business from owners Penny and Phil. The couple try to use every part of the birds once they are processed, but the main aim is to extract emu oil, which is a remarkable natural remedy for joint pain and athritis. The bird's feathers are used in arts and crafts, the bones are used for dog food and the meat is snapped up by chefs. The family also create their own emu jerky, which, with simple natural ingredients spicing up the tinly sliced dried meat, is delicious. Next we journey to the Coo-ee Heritage Centre in Gilgandra, which is a gallery, visitor information centre and also a museum proudly keeping the story of the Coo-ee marchers of 1915 alive. If you're not familiar with the story, in 1915 during World War I, recruiting committees were formed in towns all over Australia. Under the leadership of Captain Bill Hitchen, 25 men who had decided to enlist set off on a march to Sydney. Gathering other recruits along the way, they numbered 265 by the time they reached Sydney. This became known as the Coo-ee Recruitment March. Just down the road is a popular little cafe and art gallery called the Next Grind. If you want a nice homemade meal, or a refreshing tea or coffee with a slice of cake, this is the place to stop. The cafe is also bursting at the seams with local arts, crafts and homewares. 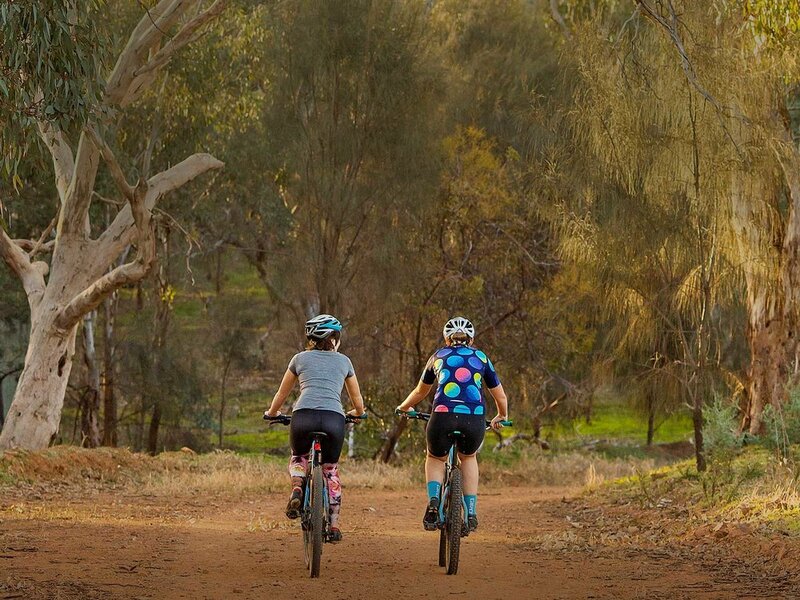 After a 45-minute drive down the Newell Highway, we reach the buzzing city of Dubbo, which is not only renowned for its friendly country hospitality, but also for its laidback lifestyle and sense of space. We spend one night at the Westbury Boutique Bed & Breakfast, which was built in 1915. In its heyday it was replete with tennis courts, a cellar and extensive gardens. Today, owner Tish has lovingly turned the home into an elegant hotel that is also home to her beloved Thai restaurant. The food is delicious and fresh. Every room is beautifully decorated and Tish's great eye for art gives the estate even more charming character. 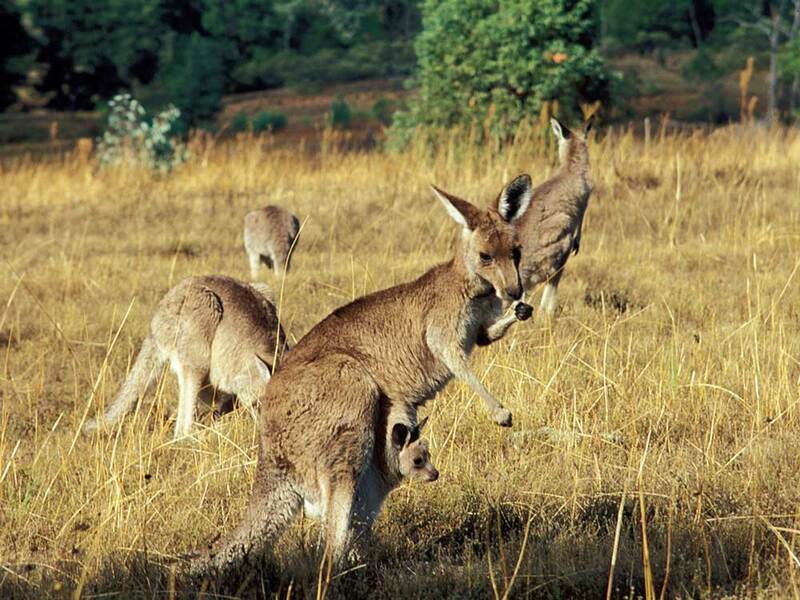 For those after an experience where you can be immersed in nature, stay at the Billabong Camp at Taronga Western Plains Zoo, and make sure you fit in a night and morning tour to get up close and personal with the zoo's many wonderful inhabitants. We make the most of the glorious summer weather by hiring some kayaks from Adventure Craft Hire, and paddle down the beautiful Macquarie River, where you can glide through parklands all the way up to Sandy Beach for a swim in the cool fresh water. Owner David England is a hoot, and he will happily point you in the right direction to enjoy some of Dubbo's many other offerings. When it comes to food, wine and beer, we enjoyed awesome Italian fare at Bellotti's in the Cascades Motor Inn (try the minted ricotta, chargrilled local peaches with San Danielle prosciutto bruschetta ) and loved the pulled pork and haloumi salads at Church Street Cafe, which is also a popular hangout for drinks. If you love craft beer, don't miss The Monkey Bar, and on the drive back to Sydney, swing by Alby & Esthers in Mudgee, which is hidden away in an 1873 stone terrace in a quaint cobblestoned corner of Market Street. The food, ambience, service and beverage offerings are outstanding. Cruising back to Sydney, we have the windows down and the road trip tunes on shuffle. The sun is shining, and filled with fresh mountain air, we're both relaxed and recharged after our Great Western Plains Adventure.